A 4K Codex recording system has been launched into space for a forthcoming IMAX production, and will orbit the Earth for the next twelve months. Paired with a Canon Cinema EOS C500 camera, the Codex recording system will be used by the astronauts onboard the International Space Station to capture a set of pre-determined shots at 4K resolution for an upcoming IMAX production. It’s been tentatively titled A Perfect Planet. Codex’s Onboard S recorders enable the Canon EOS C500 to capture 4K Cinema RAW at up to 120fps. 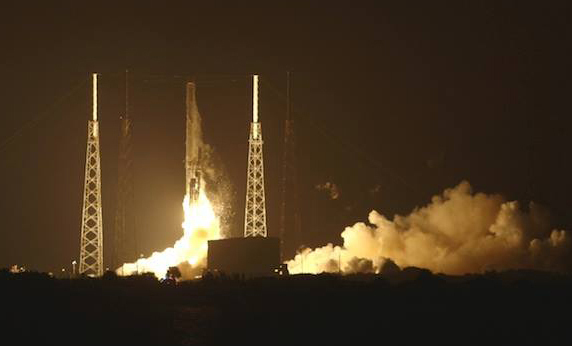 The kit set out on its astronautical venture on 20 September, when SpaceX launched CRS-4, a commercial resupply services flight from Cape Canaveral Air Force Station in Florida. CRS-4 is also carrying crew supplies, cargo and the ISS-RapidScat instrument, a replacement for NASA’s QuikScat Earth satellite. Codex MD Marc Dando revealed that during the last few months the recording system has been put through rigorous testing, including radiation testing, by cinematographer James Neihouse and a team of engineers. Neihouse has worked on many IMAX movies, including Hubble 3D, Space Station 3D and Mission To Mir. © 2014, Michael Burns. All rights reserved.